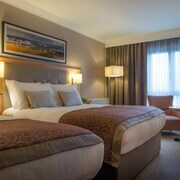 Situated in the suburbs, this hotel is within 3 mi (5 km) of Leeds Golf Club, Roundhay Park, and Temple Newsam House. Tropical World is 3 mi (4.8 km) away. Cross Gates Station is 23 minutes by foot. How Much is a Hotel Room in Leeds? 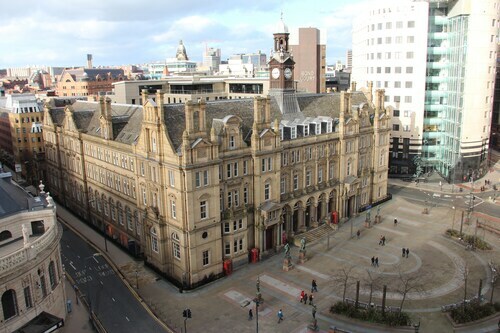 Hotels in Leeds start at $24 per night. Prices and availability subject to change. Additional terms may apply. 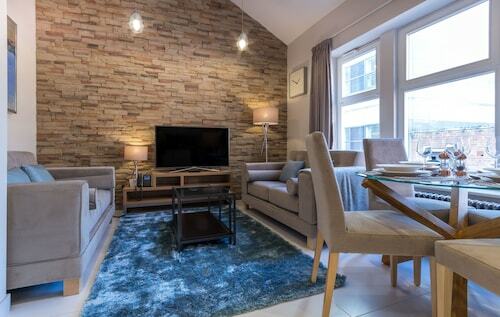 When you're on the lookout for nice places to stay in the area around Leeds, you'll be excited to find there is a treasure trove of suitable choices available. Inside Travelocity's easy-to-use booking section, you can compare the features of 38 hotels within a 6-mile (10-kilometer) radius of the center of town. 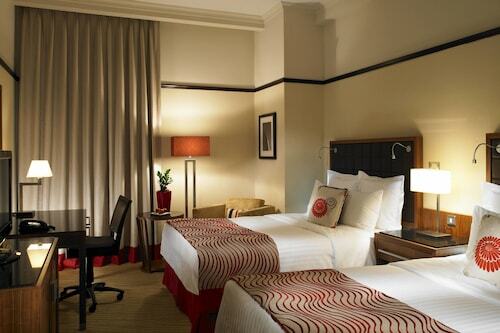 One of just a few rooms within walking distance to the business district of Leeds, is the Britannia Hotel Leeds. 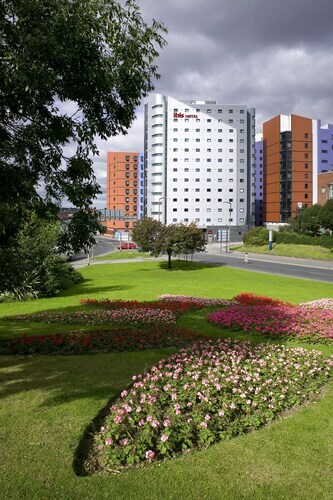 Hunslet is an accommodation area that lies approximately 3 miles (5 kilometers) from the action of downtown Leeds and boasts 2 lodgings. 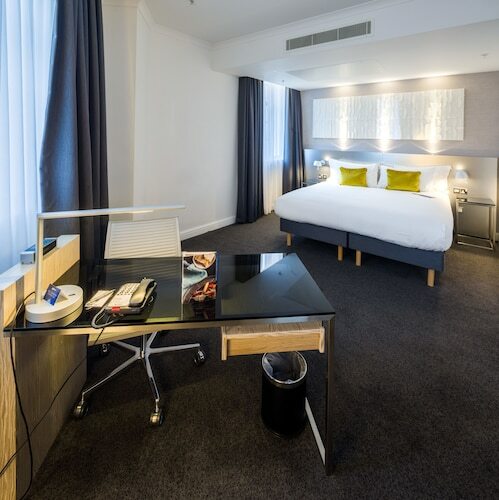 The Clayton Hotel Leeds and Holiday Inn Express Leeds City Centre Armouries are great examples of the Travelocity-listed hotel accommodations in and around Hunslet. 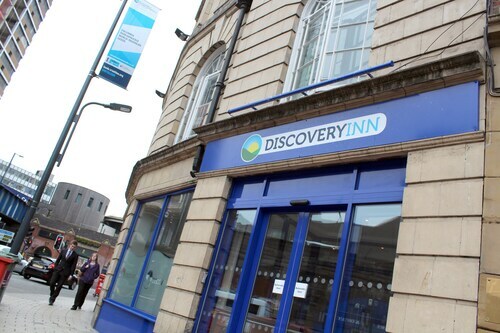 If you are journeying to Leeds and would like to visit the Royal Armouries, the Kirkstall Abbey or the Thackray Medical Museum, you will probably be looking to find accommodation nearby. 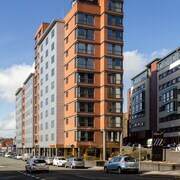 Some convenient hotels for the Royal Armouries are the Gateway Apartments as well as the Quebecs Luxury Apartments. 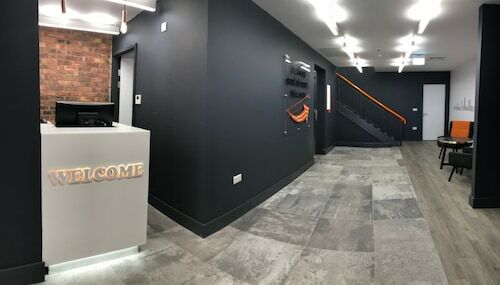 While the Gateway Apartments is just 0.3 miles (0.5 kilometers) from the interesting Royal Armouries, the Quebecs Luxury Apartments is 0.9 miles (1.4 kilometers) away. 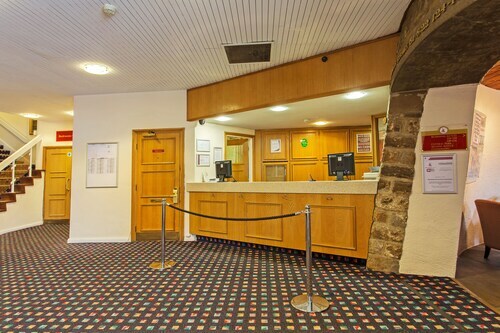 The Weetwood Hall Conference Centre & Hotel and the Village Hotel Leeds North are two hotels situated a comfortable walking distance from the Kirkstall Abbey. 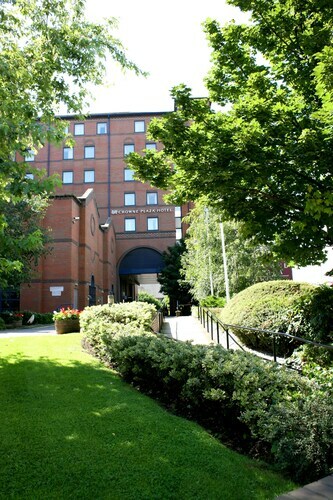 Finally, the Leeds Marriott Hotel and the 42 The Calls are good hotel choices for those who would like to be based near the Thackray Medical Museum. 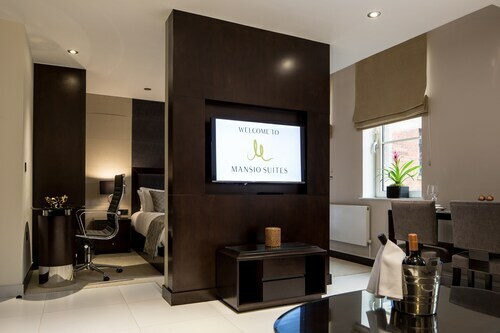 The Leeds Marriott Hotel is 1 mile (2 kilometers) away and the 42 The Calls can be found 1 mile (2 kilometers) away. Here at Travelocity, we fully appreciate that all travelers possess vastly different needs and budgets. So if you're looking for a place to stay at the more affordable end of the range, Leeds features some solid options to choose from. 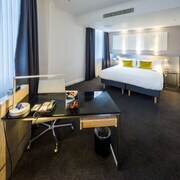 Some more options in the budget range of Leeds are the Jurys Inn Leeds and the Holiday Inn Leeds Garforth. The Wood Hall Hotel and Spa is positioned 7 miles (11 kilometers) outside of the town center of Leeds. Another accommodation option is the The Chambers - Park Place - Apartments, which is approximately 3 miles (6 kilometers) away. 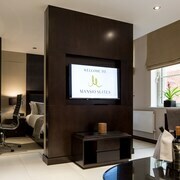 Other hotels and apartment options include the Thorpe Park Hotel and Spa and the The Majestic Hotel. Looking for more to do? You could spend some time visiting Ilkley Moor and Ilkley Toy Museum, which can be found in Ilkley, 16 miles (26 kilometers) northwest of Leeds. 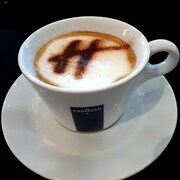 If you'd like to stay in Ilkley, check out the Best Western Rombalds Hotel and Craiglands Hotel. For another option, head to Yeadon, 9 miles (15 kilometers) to the west of Leeds, where you have the options of the Chevin Country Park Hotel & Spa and Hillcroft Barn. The Yeadon Tarn Park and Yeadon Town Hall are a couple of the most frequented points of interest to explore when in Yeadon. If you are traveling via Leeds Bradford Airport and hope to find a hotel nearby, try The Half Moon Inn or Britannia Leeds Bradford Airport Hotel. Not too expensive for a room in Leeds booked at the last minute. Ideal for a works night out. Central location is excellent.